Is the Monica Reece case too complicated to solve? 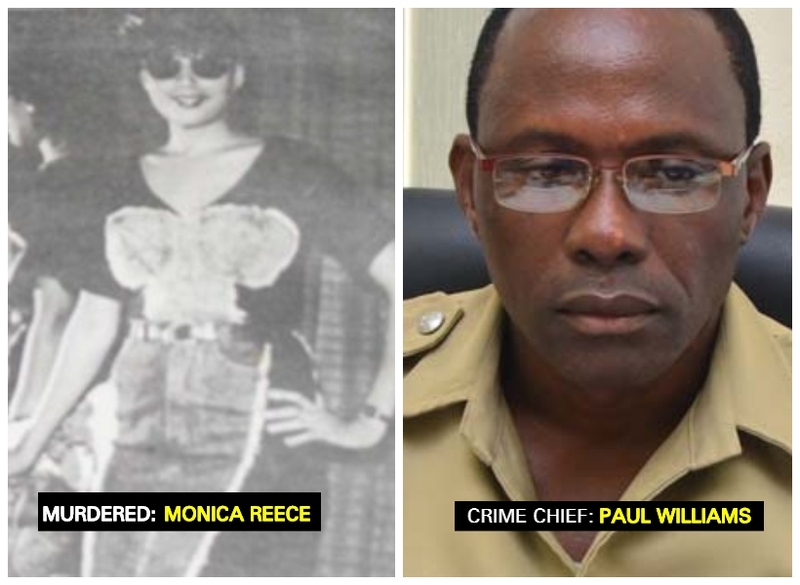 Back in 2016, Police Commissioner, David Ramnarine (ag) had announced that an unprofessional course of action took place in the initial stage of the probe into the April 1993 murder of Monica Reece. In that same year, the then Crime Chief, Wendell Blanhum publicly declared that the case of the murdered security guard, who was beaten and dumped from a car on Main Street, Georgetown, had been reopened. By 2017, the public was anxiously waiting for the Guyana Police Force to finally come out and name the alleged killer since senior police officials had indicated that they had taken fresh statements from key witnesses and revisited the crime scene. These officials even boasted of interrogating the prime suspect, whose travel privileges had been restricted due to the ongoing probe. It is now 2018 and many are wondering why the Guyana Police Force has not charged the prime suspect as yet.In search of an update, the Guyana Standard made contact with the new Crime Chief, Paul Williams this morning. Williams revealed that since he took over the post, he has never looked at the Monica Reece file.“You see, everyone wants the case to be solved but it’s an old case. For it to be solved, it would require pertinent information and witnesses who can support the prosecution’s case when it goes to court,” Williams said. When asked about the evidence collected when the case was reopened in 2016, the crime chief said that some of the ranks who had been working on it at that time have been transferred from the Criminal Investigation Department (CID). “Since I took over (in September 2017) no one came to me and said, ‘look, these are the information I have for the Monica Reece case,” the Crime Chief noted. There have been allegations that the case was further delayed due to detectives taking some $15M from the prime suspect. However, when asked about this, the Crime Chief said that he never heard of anything pertaining to a $15M bribe. “It is important to know when this allegation was made because since I came here, I have never picked up the Monica Reece file and give it to any ranks,” he explained. He stated that if he is presented with the required information to build a strong case against the suspect in Reece’s case then he will reopen the investigation. On April 09, 1993 Reece was dumped from a pickup in the vicinity of Geddes Grant, now Courts on Main Street. Several persons were questioned and a pickup matching the description of the one Reece’s body was thrown out of, had been impounded. But it was returned to its owner by the following day. “In those days, only a handful of persons could afford those vehicles so when we picked up this person, we were sure of him being the suspect but then you know what happens when people have connections,” a senior police rank who is affiliated with Reece’s case said. He added too, that the vehicle had certain marks which indicated that it was the same pickup in which Reece was thrown out of.